Objective: To promote the inclusion of art school children from various vulnerable families into the educational and cultural process of the school by enabling their self-expression and development possibilities. Description: Yerevan Art School was founded in 1971. In 2001 the school was renamed after Ghazaros Saryan. At present 1023 children learn at the art school. It has departments of music, vocal, dance, theatre, choir, fine arts and painting. Since its establishment the school has had many famous graduates. The AF4SD has already cooperated with the art school during the last two years and has taken part in the concerts with the participation of the art school children. 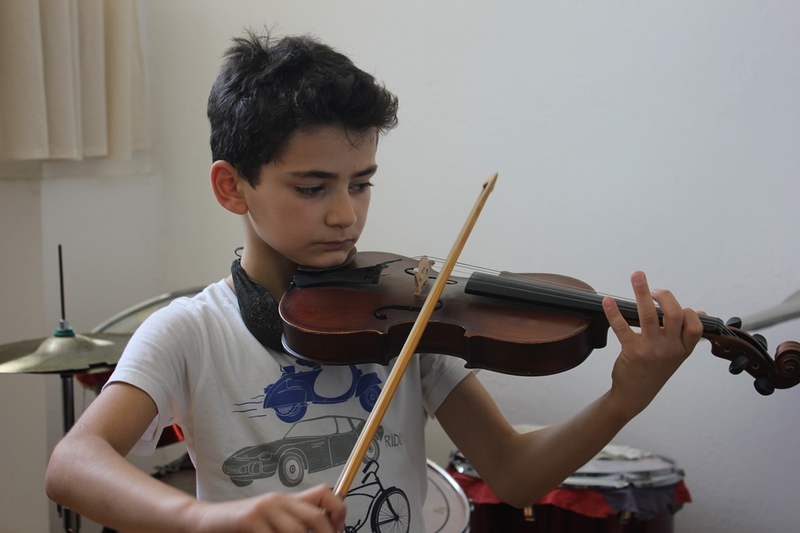 The project intends to foster the inclusion of art school children from various vulnerable families, such as Armenians from Syria, children without one or both parents, socially insecure families, gifted children, children with disabilities, from large families, children of the RA Military forces officer, as well as those children who play at very rare musical instruments. Within the framework of the project 64 children included in the project will benefit from the tuition fees granted by the foundation each semester. During the project the visibility of the actions are ensured.